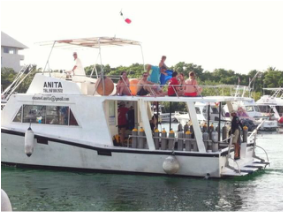 Anita is the most comfortable diving and snorkeling boat in Cozumel. 42 feet long, it has a sundeck, dry cabin, bathroom, storage, it can accommodate up to 20 divers or 30 snorkelers. During your trip, a complete lunch will be served: Sandwiches, tuna salad, guacamole and chip, fruits, water, soft drinks and cookies. 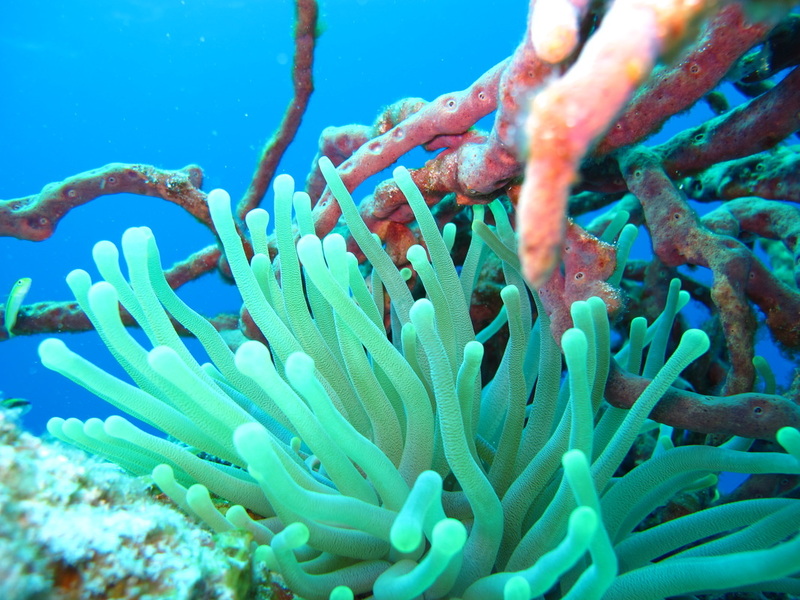 Divers will enjoy the most beautiful reefs of Cozumel. 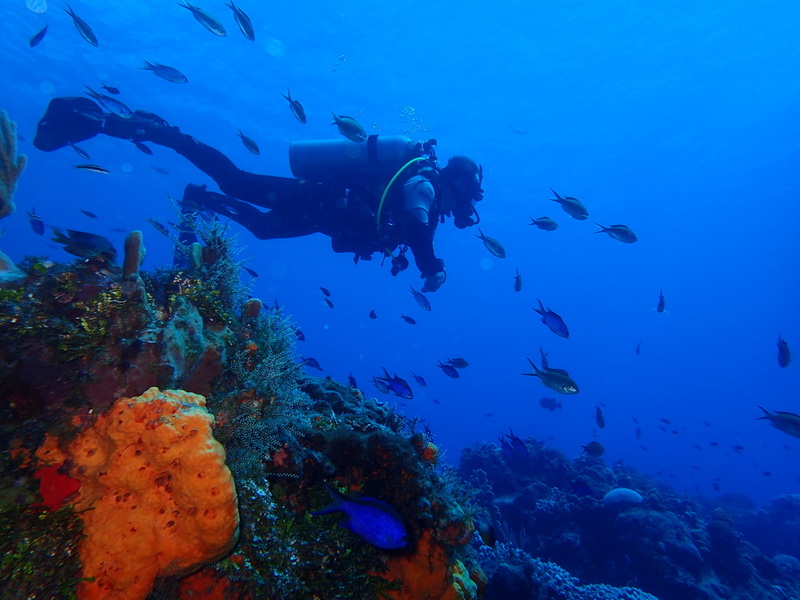 We do not charge extra fees to go to specific dive sites and we do not put a time limit on our dives. Just safely follow your dive table or computer and breath ! 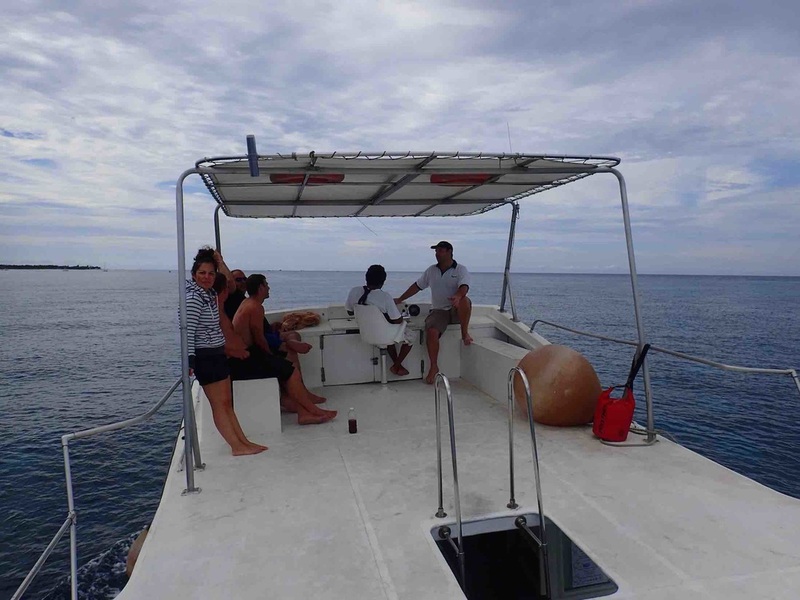 For freelances who want to rent spaces or just rent the entire boat for your group for private trips.